Bear Grass looks like a grass, but really belongs to the lily family. Its olive-colored, grass-like leaves grow from the base of the plant and are tough and wiry. 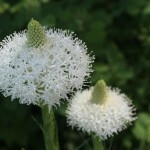 The outside leaves clasp around the stem. The leaves have toothed margins, and grow about 85 cm (35") long, getting shorter as they near the flowers, looking very much like a fan. The flowers of bear grass grow on a stalk that can be 1,80 m (6') tall with many small flowers. 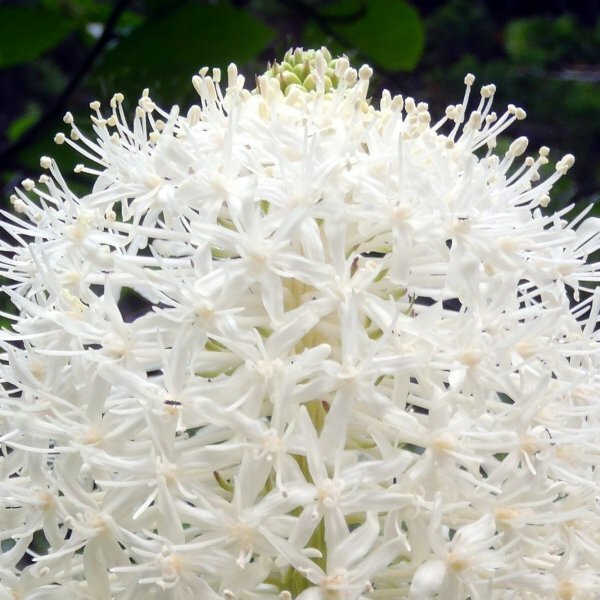 Each flower is creamy white, and saucer shaped, and has a sweet aroma. 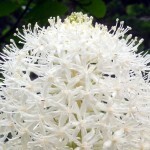 The lowest flowers bloom first, creating a tight knot of buds at the top. 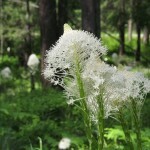 The entire flower looks a little like fluffy, upside down ice cream cone. 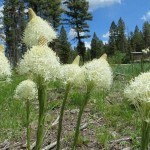 Bear grass tends to flower in 5 to 7 year cycles. After the fruit sets, the plant dies. It reproduces by seed, and by sending out offshoots from its rhizomes.